Saint Lambert airfield (also known as Advanced Landing Ground A-11 "Saint Lambert" or A-11 "Neuilly-la-Forêt") was an airfield on the Normandy beachhead in France. The airfield was completed by the 832nd Engineer Aviation Battalion, nearly two months after the D-Day landings in France. It was one of the last airfields to be completed in the Normandy area. It became home to 474 Fighter Group (consisting of 428, 429 and 430FS) , flying the P-38J and P-38L Lightning. 474FG was one of the last units to still operate from British soil. The group began arriving on 1 August and was declared operational on 5 August 1944. As fighter-bombers the P-38s earned quite a reputation, with the Germans referring to them as "fork-tailed devil" ("der Teufel Gabelschwanz"). Like all fighter units stationed at advanced landing grounds, both Fighter Groups were tasked with patrolling roads in front of the beachhead and attacking German vehicles, troop concentrations and weapons. Life at the airfield had its problems, mainly caused by dust during summer. The dust was everywhere, in tents, clothes, equipment and laundry. After the advancing Allied Armies moved east into Central France, the airfield was closed on 5 September 1944. 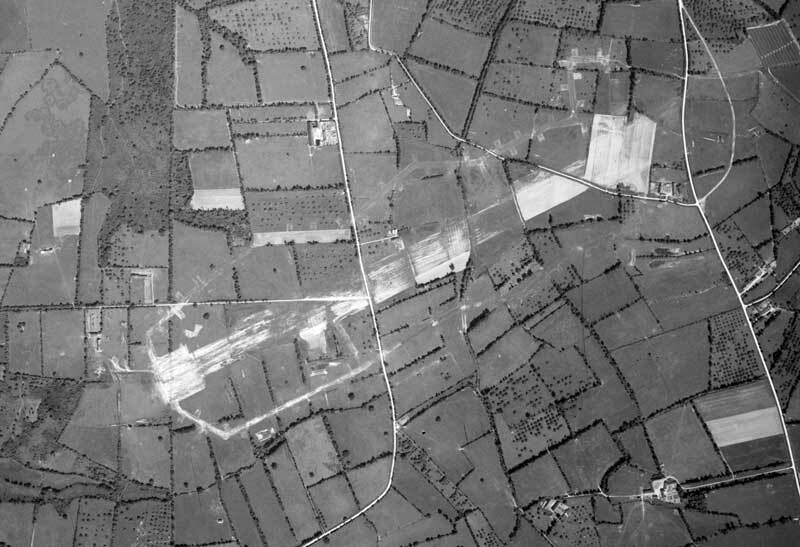 A-11 St. lambert was still clearly recognisable in this photo taken on 11 Juni 1947 (IGN.fr). 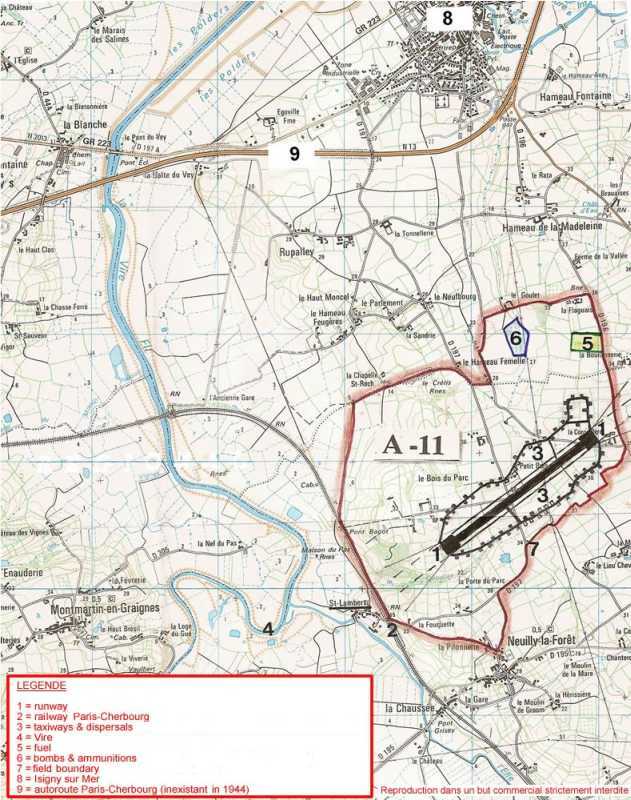 Map of the airfields' layout on todays road network (6Juin1944.com). Today is it almost indistinguishable from the surrounding fields. Only parts of the famous Normandy hedges are still missing where the runway used to be. 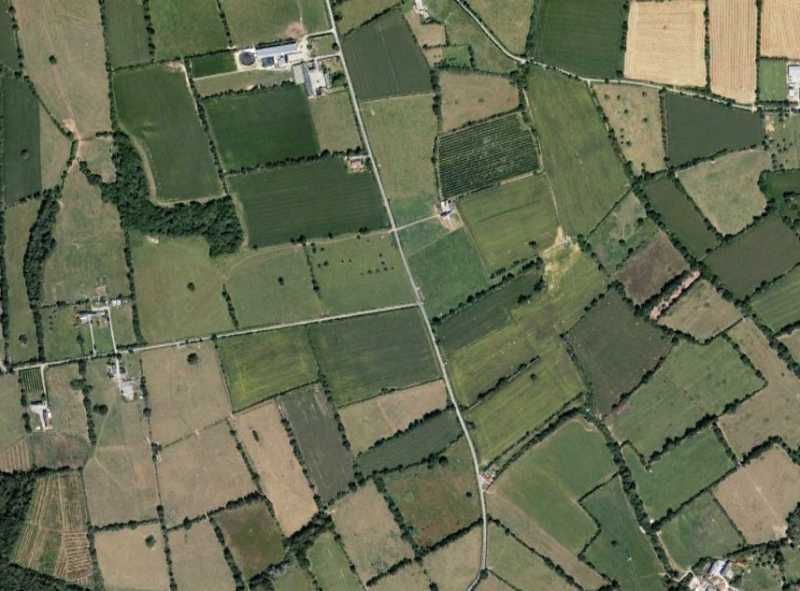 This makes it very easy to recognise the former airfield from the air. 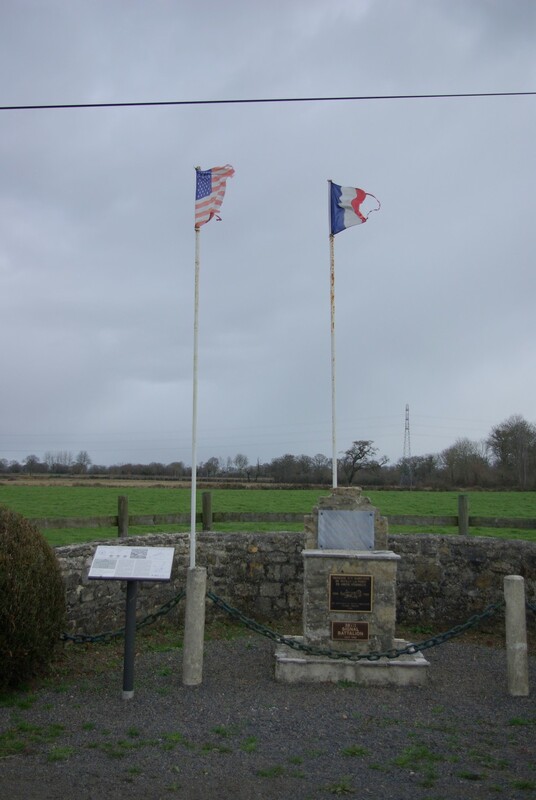 In 1994 a monument was erected on the site by the inhabitants of nearby Neuilly-la-Forêt to commemmorate the airfield and the sacrifices made by those who operated at and from it. All rights reserved - Embedding the contents of this site in another domain without the explicit prior permission from the webmaster/owner is strictly prohibited.